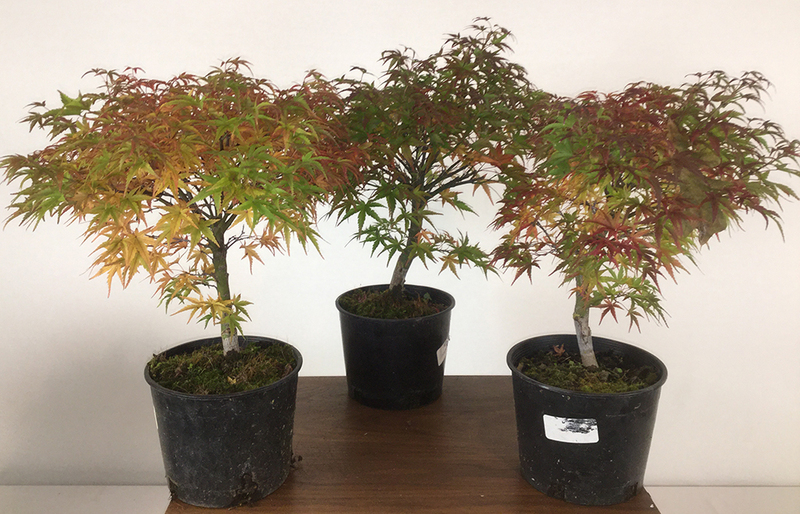 These Japanese maples are sharps pygmy variety. The timing of this workshop is early spring which is an opportune time to prune and wire the trees. 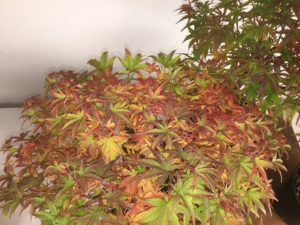 We will also repot them into good bonsai soil into a mica tray. You have the option to purchase a different pot, if you prefer. We are limiting the workshop to 8 seats. They like sun/shad environment and need to be watered well, but not sitting in a water logged environment. These are nicer developed trees that were grown for bonsai use. They are roughly 1/2″ diameter trunks and about 14 to 16 inches tall. We handpicked these trees out of a large selection to get the best ones for this workshop. This tree and workshop offers an excellent opportunity for beginners and intermediate as each person can focus on styling and detail wiring at their own level. Workshop includes, trees, mica tray and soil. You will need to supply your own tools and wire, or purchase during the workshop.